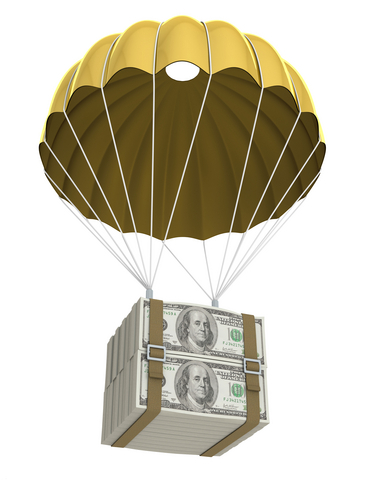 Value-Based Agency Compensation Models; Viable or Not? It wasn’t until the mid-to-late ’80’s that the advertising industry’s century old reliance on commission based agency compensation systems began to evolve. The reasons for this evolution are not as important to the discussion surrounding agency remuneration as is the fact that multiple compensation approaches were spawned to replace the traditional commission-based approach. One coveted, yet highly elusive approach, value-based compensation, provides a base fee sufficient to cover the agency’s costs of servicing a client and links their ability to generate a profit to the advertiser’s in-market performance. The notion of an agency “having skin in the game” has long been discussed. Generally speaking, both advertisers and agencies have agreed that this type of approach could drive positive results for the advertisers business and for the agencies bottom lines. The length of client/ agency relationships has continued to decline, as perhaps have both parties commitment to those relationships. A typical Chief Marketing Officer’s average tenure with an organization is less than two years, creating a number of “continuity” impediments to forming and maintaining a productive relationship with their agency partners (CEO tenure is not much better). The move away from full-service agencies, driven largely by the advertising agency move to unbundle their services has resulted in most advertisers having a fragmented, diverse agency network making it difficult to clearly attribute responsibility for in-market results. The Marketing function is not as highly regarded by many organizations today as it once was, which has negatively impacted the view of marketing services providers in general and advertising agencies in particular. Perhaps, advertisers and agencies can take a positive step in the right direction by first linking compensation to agency performance. Linking an agency’s remuneration to their ability to effectively satisfy the deliverables identified within a contractual statement of work and to deliver a level of service commensurate with the staffing plan has many benefits. Primarily, this approach aligns agency compensation with advertiser expectations and allows for a clear, fair assessment of performance, eliminating the ambiguity that is often associated with attributing credit for success or failure within a value-based compensation system. Structured properly, agency delivery against the client’s expectations will drive in-market results while satisfying client-side Financial and Procurement Teams desirous of performance based vendor remuneration. It can also serve to strengthen the relationship between the client and the agency. The following article from AdAge sheds additional light on the topic of value-based compensation.